Sonny the Bunny hops into the spotlight at iPlay America, Saturday, March 19, for his 3rd Annual Colossal Carrot Adventure and it is more than EGG-citing, it is EGG-cellent! This year’s adventure is bigger and better than ever with two new fun and family-friendly events. Families will love the NEW Bunny Trail Easter Egg Hunt! It’s FREE to come hop along the trail and collect Easter eggs filled with special treats and prizes at several stops. Guests receive a free Easter egg bucket, free digital photo download with Sonny the Bunny, raffle ticket to win super prizes, and a coupon for 50% off a future visit to iPlay America. It’s easy to Get Inside the FUN! 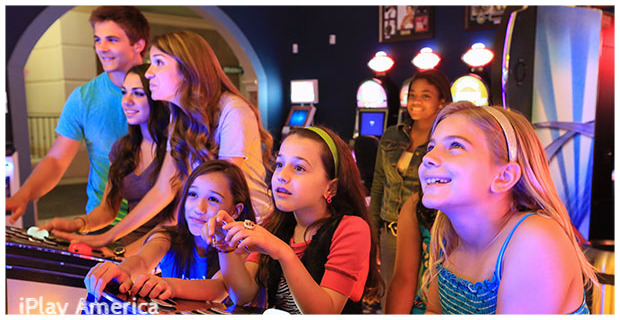 iPlay America is the HOME of the BEST BIRTHDAY BASH! Looking for more HARE-raising, family fun this Easter? Then get your taste buds ready for iPlay America’s VIB (Very Important Bunny) Breakfast with Sonny the Bunny! Priced at just $14.95 for children 2-12 and $24.95 for adults, children under 2 are FREE. The VIB Breakfast takes place in the Game Time Bar & Grill and features a delectable multi-item breakfast that’s more than just BUNNY food! The breakfast also includes a special table visit from Sonny the Bunny, an appearance by Danny iPlay, a collectible Easter egg hunt bucket with coloring book and crayons, extra prize-filled eggs and Free $5 Game Card, VIB photo opportunity with Sonny the Bunny, free digital photo download, and extra special games and prizes just for VIBs. Plus, a reserved ticket and VIB status entitles guests to an early skip-the-line admission. Breakfast is at 9:30 am and guests can join in the FREE fun in the park afterwards. 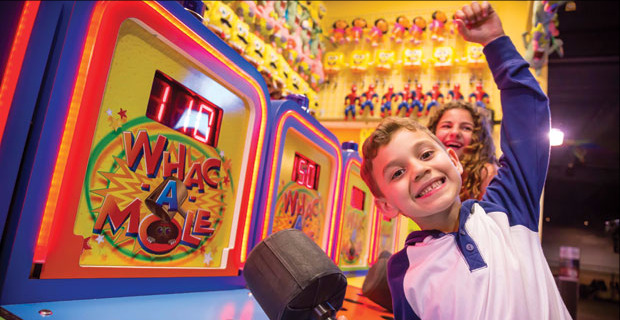 There’s FUN for everyone in the Arcade! From 11:15 to 11:45 a.m. there will be a Colossal Raffle and giveaways with iPlay America’s friends from 94.3 The Point. Raffle prizes include Laurie Berkner concert tickets, $100 iPlay America Game Cards, $50 iPlay America Game Cards, iPlay America iParty Plus Birthday Parties, iPlay America Play Packs, the Ultimate Easter Basket, and the Grand Prize – A one-carat diamond and gemstone pendant, valued at $1,000 from Jewelry Design Gallery, plus an iPlay America iParty Plus Birthday Party. There will be “HOPPY-ness” in abundance as each and every winner is chosen! 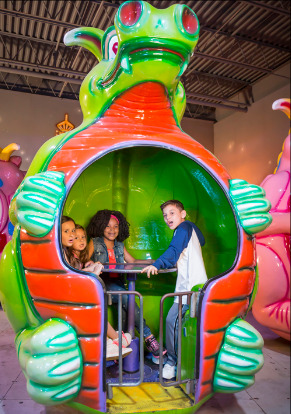 Get Inside the FUN and make plans now to attend the 3rd Annual Colossal Carrot Adventure at iPlay America! It’s a fun and fabulous way to celebrate the Easter holiday, so don’t miss out on all of the good times and family EGG-citement! Availability is limited. Registration for the FREE event and the VIB Breakfast is required. Register by noon March 17 at iPlayAmerica.com/CarrotAdventure.